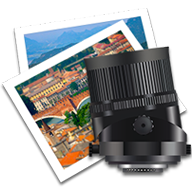 TiltShift is once again available on the Mac App Store. It is an app for computer generated tilt-shift photography. It allows you to create fake miniature versions of regular photos, simulating the effect of expensive tilt-shift lenses.